Opsview is a global IT Systems Management software business. Their systems allow their clients to monitor their IT networks at a glance, from 2 to over 20,000 devices. Opsview’s enterprise customers include globally-recognised blue chip companies and organisations including Cisco and UPS. Opsview is headquartered in the UK with a US office in Boston providing sales and technical support to its large North American customer base. We’ve found SalesFix always goes the extra mile to offer best practice solutions and advice. I think that’s why Jason Lawrence has been awarded by Salesforce as a Most Valued Professional (MVP), because of all the excellent work he does for the Salesforce community! Opsview originally used JIRA as the issue ticketing application to support their customers. Over time it became clear this system didn’t have the capability that Opsview required. “The main problem was that it didn’t understand our customers and what they had originally purchased. It was designed for internal IT ticketing without any fine grain control over who could see what internally. 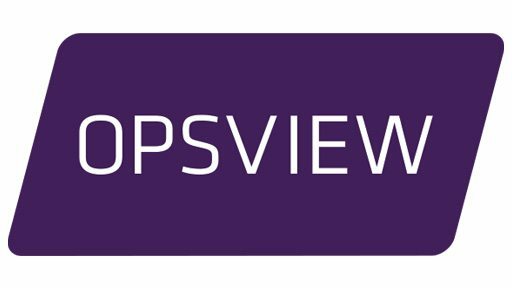 From implementing Service Cloud into the sandbox and SalesFix’ s proof of concept for testing, extensive quality control measurements were rolled out to really test Opsview’s detailed requirements. We could see our customers logging in and tickets coming in. The whole switch was seamless to our customers. Fantastic reporting creates great customer visibility. Receiving information directly from the customer base, Opsview is now able to rapidly act on product improvement, leading to more sales renewals, a reduction in logged cases, and overall better customer experience and satisfaction. Opsview’s existing system could not provide an overview for staff to track the entire customer service history, so it was difficult to prove that their essential business needs, such as the number of support tickets issued, customer visibility, service-level agreements (SLAs), and reporting, were being met. Access controls were also a big issue in JIRA, as well as the need for reporting. “The controls wouldn’t allow staff members to view logged tickets from another staff member for the same organization, sometimes causing duplicate issues to be raised. This could lead to confusion and more effort for both the customer and Opsview’s support staff. Director of SalesFix, Jason Lawrence, originally implemented Sales Cloud for Opsview as well as integrating an e-commerce website, financial solution – Intacct, and a Licence Entitlement Management Solution into Opsview’s overall Salesforce1 Platform. For this project, SalesFix implemented Service Cloud. “My advice to any other company is that you should never try to do this implementation alone. Go to someone that really knows their stuff on the development and administration side. It is money well spent! With access to additional applications within Salesforce itself, as well as a whole range of third-party solutions available on the AppExchange®, Opsview can continue to extend their solution. And the reporting and data analysis on Opsview’s worldwide customer base is now dramatically improved. Neil notes how frustrating and time-consuming the process of locating reports used to be: trying to find out what had been done, how long it took, how much Opsview did that month, and where the reports were. With Salesforce’s detailed reports, he found that the additional reporting capability of Service Cloud has provided significant benefits.